and I thought it was a really creative story. The characters were great; I especially loved Kestrel and Arin. the end of the first book will be answered in this book. 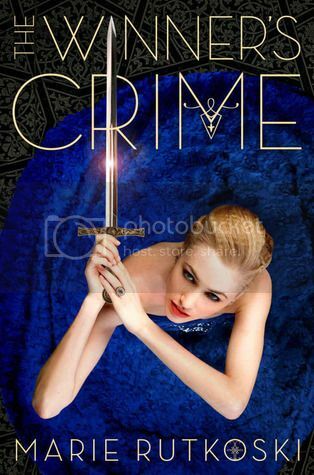 I can't wait to read The Winner's Crime and get back into this story! Nice! Seeing a lot of this today! love the blue! Fantastic pick! I am definitely waiting on this one as well. I am loving the cover….so gorgeous! Love the blue cover for this one. This one is very popular today. Great pick. I CANNOT wait for this! Krestel looks even more of a badass!! SO EXCITED! I cannot wait to see what happens next with these characters.